Size (inches): 2.17" X 2.17" X 4.13"
Clove Buds have been used in the Orient for over two thousand years as an aphrodisiac. Clove Buds are highly antiseptic, and effective for toothaches, vomiting, flatulence, circulation, lungs, the stomach, cholesterol, blood sugar levels, pain support, fluid flow in the lymph system, throat irritation and digestion. Clove Buds have also been found to be useful against infection, flu, colds, coughs, dental pain, fever, bad breath, skin problems, bronchitis, athlete's foot, muscle pain, drowsiness, sprains, strains. An extremely aromatic plant (the entire tree smells of Cloves), this familiar herb grows in tropical regions such as Tanzania, Madagascar, and Brazil. The chemical element, oil of Cloves, is extracted from the plant's flower buds, leaves, and fruit. Boasting antibacterial, antifungal, antiviral, and pain-killing effects, it is used primarily as a local anesthetic, especially for toothache. 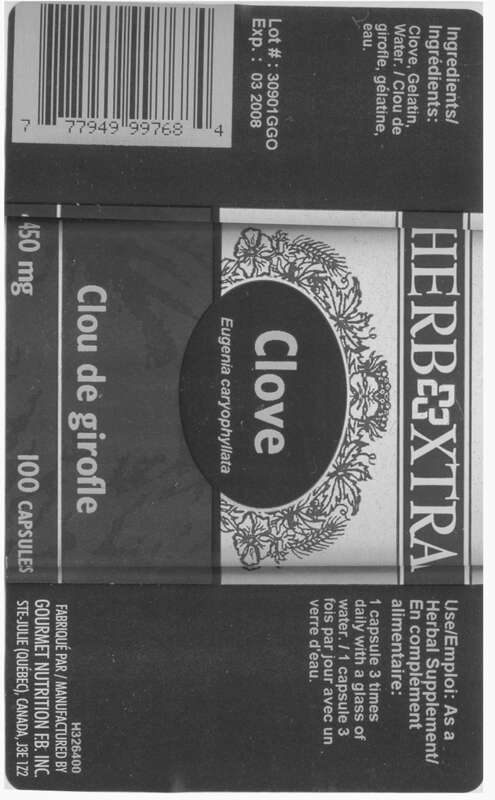 The Cloves found in the typical kitchen spice rack are flower buds picked at the embryo stage. (If picked when mature, they lose their pungency.) They appeared in Europe as early as the 4th Century A.D. In India and Indonesia, they are still smoked in cigarettes.